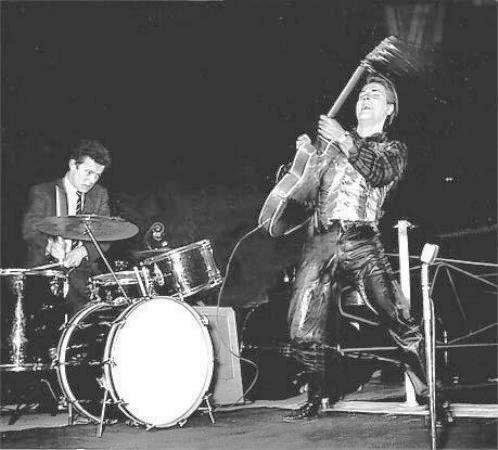 Eddie Cochran, Live in London. . Wallpaper and background images in the Rock'n'Roll Remembered club tagged: eddie cochran summertime blues cmon everybody skinny jim etc. This Rock'n'Roll Remembered photo contains drummer, bass drum, and gran casa. There might also be tympanist, timpanist, tenor drum, tom tom, percussion instrument, and percussive instrument.